Dennis started with our company in 2002. He then moved to a foreman and was promoted to a manager/ estimator in early 2003. His duties besides estimating include running the paint and light carpentry crews, training, keeping up with new technology, heading up our safety programs, and to keep in contact with the crew and customers to make jobs run more smoothly. He has learned the Bowen way of doing business and making customers a priority. Ben started his career at Bowen in 2003 as Joe’s helper. He attended University of Maryland and earned his degree in mechanical engineering. He has worked his way up in the company from helper to installer, and currently our production manager. Ben sets the standards for our employee’s, performs training, and makes sure every job finishes on time and on budget. He is a great asset to our Bowen team and a great leader. Becky has been with our company since 2006. She has gained valuable knowledge over the years and customer service is her main focus. She also heads up our warranty program. Typically if you need an answer to a question Becky is our go to person. She will know the answer or go to great lengths to find the answer for you! Samantha is our daughter and she has worked for many years behind the scenes and worked her way up to her position today. She is a graduate of The Art Institute of Washington with a Bachelor’s Degree of Fine Arts in Interior Design. She graduated in 2011 with new ways of doing things and a vast amount of knowledge in design. Samantha is skilled in the 20/20 kitchen and bathroom program, Auto CAD, and the Rivet Architecture program. Her focus is on bathroom, kitchen, and basement remodeling. Samantha received the Top Sales Award for 2013 for having over 1 million in sales. Jordyn is a graduate of The Art Institute Of Washington with a Bachelor’s Degree in Fine Arts in Interior Design. She graduated with Samantha in 2011. Coming out of school she has a fresh perspective on new design ideas for our customers to use as tools to design the perfect space that they are looking to remodel. Jordyn is skilled in the 20/20 kitchen and bathroom program, Auto CAD, and the Rivet Architecture program. Her focus is on bathroom, kitchen, and basement remodeling. Anna is a graduate of Radford University with a Bachelor’s Degree of Fine Arts in Interior Design. She started with Bowen in 2016 and is proficient in Auto CAD, Revit, 20/20, ProKitchen, and Google Sketch-Up. 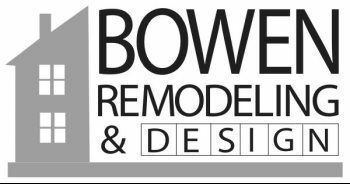 Her focus is kitchen, bathroom, and basement remodels. Sabrina is the newest addition to our team. She graduated in 2012 from Radford University with a Bachelor’s of Science in Interior Design. Taking her knowledge from school and learning the technical aspects of remodeling here she has made a solid position within our team. She is skilled in the 20/20 Kitchen and Bathroom program and Auto CAD program. Her focus is bathroom, kitchen, basement remodeling. She also handles smaller handyman services. Divina joined the Bowen team in the summer of 2014. She has practiced residential interior design since earning her A.A.S. degree in Interior Design in 2007 from the AACC School of Architecture and Interior Design. She has also taken advanced coursework in lighting, kitchen and bath design as well as attending continuing education seminars to keep current with the latest trends and innovations in the industry. Although she has broad experience in residential interiors, her focus has been designing kitchens, bathrooms, offices and transition spaces such as mudrooms and laundry rooms. Her projects range from the simple updating of spaces to more complex renovations involving relocation of kitchens and baths. Divina also provides interior design services including procurement of furnishings, window treatments, pillows, artwork, accessories and more! Our Sales Team and Project Coordinators are with you from start to finish! They help you with the design, layouts, and selection of materials for your projects in our showroom. They work closely with our installers and management for a perfect project every time.